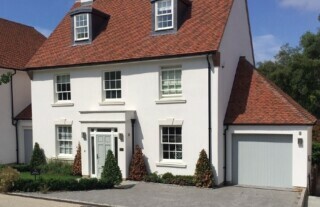 For high quality garage doors at competitive prices in Tunbridge Wells and the surrounding area, visit Wessex Garage Doors, one of the largest garage door companies in the area. Whether you are looking to replace or repair your garage door, we can offer a wide choice of products and expert services to cater for your every need. Wessex Garage Doors is a family business with many years’ experience of supplying, installing and repairing all types of garage doors. We have an extensive selection that includes up and over doors, sectional and roller garage doors in a range of materials and finishes. From traditional timber garage doors to extra durable steel or GRP garage doors, you will find it all and more at Wessex Garage Doors. With so much on offer, you’re bound to find the right solution for your particular requirement, and one that perfectly complements the look of your home. Why not visit our large showroom to see for yourself? The security of your car and belongings is our top priority, which is why we only source the highest quality garage doors from the most established manufacturers to provide complete protection and peace of mind. All our doors come with secure locking as standard. Our dedicated team can carry out free home visits and surveys in the Tunbridge Wells area on request, and give friendly advice to ensure that you get exactly the right garage door for your home. 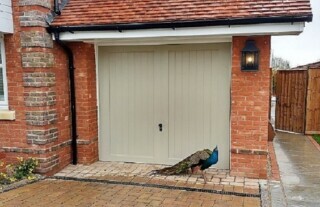 Wessex Garage Doors specialises in fitting high quality automated garage doors and systems, either as a new installation or as an upgrade to convert an existing garage door. 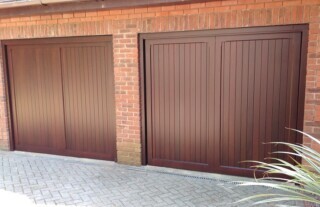 Almost every garage door we supply can be automated. Whether you are struggling to manually operate your current garage door or you prefer the security that comes from handle-less and keyless operation by remote control, electric garage doors offer the maximum of convenience all round. 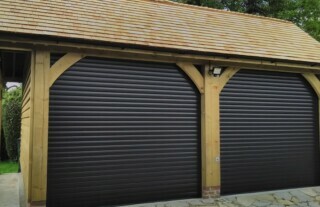 Contact Wessex Garage Doors for expert advice on automatic garage doors. 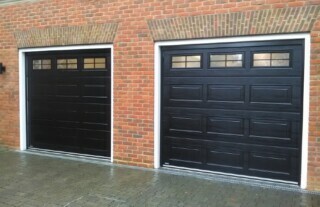 Wessex Garage Doors’ experienced technical team provides a comprehensive garage door repair service in and around Tunbridge Wells. Whatever the problem with your existing garage door – faulty locking mechanism, stiff runners or structural damage – one simple phone call is all it takes to arrange for one of our engineers to visit. What’s more, we stock a large range of replacement parts, so there’s no unnecessary waiting around for parts to arrive. 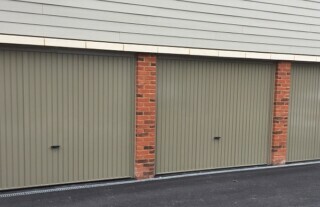 If you are looking for a reliable company in Tunbridge Wells to provide garage door repairs, or are thinking of having new garage doors installed,contact Wessex Garage Doors today.